A winter storm still appears possible next week, but the computer models are having a tough time with this storm. 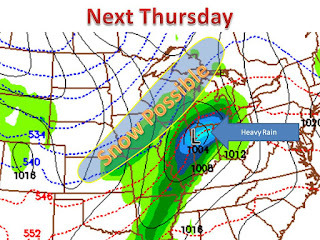 The past few runs cut the storm up into Minnesota and the heaviest snow west of the Mississippi. This current model run brings the storm into the Chicago area with very heavy rain in northwest Indiana. The main problem with the models is the amount of phasing in the northern plains, basically the stronger the phasing the more north the storm will come. Right now the most probable track would bring the storm through Iowa and Wisconsin, with the heaviest snow in MN and northwest WI. With that said, a band of 6-12" is possible with a "Rocky Mountain" storms, but it appears that 4-8" of snow with be the most from this storm. 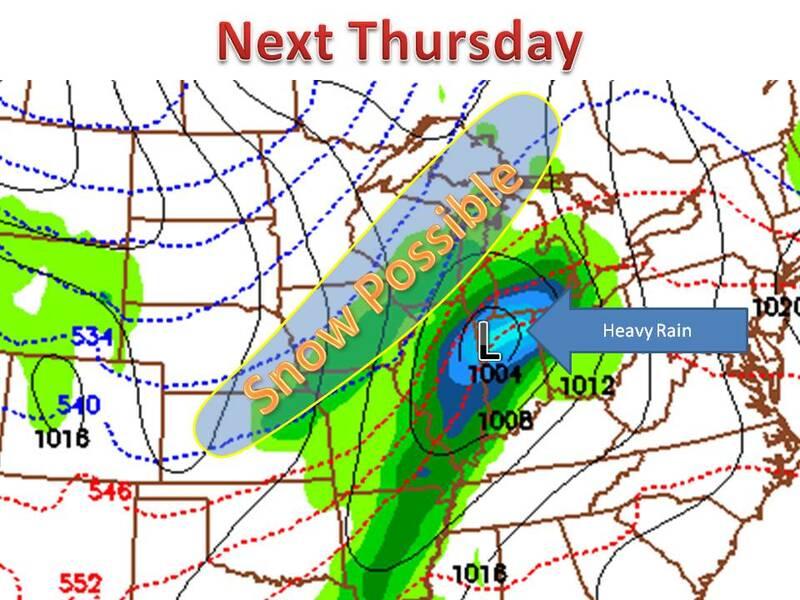 Stay tuned hopefully the first snow map can be made next monday or tuesday!